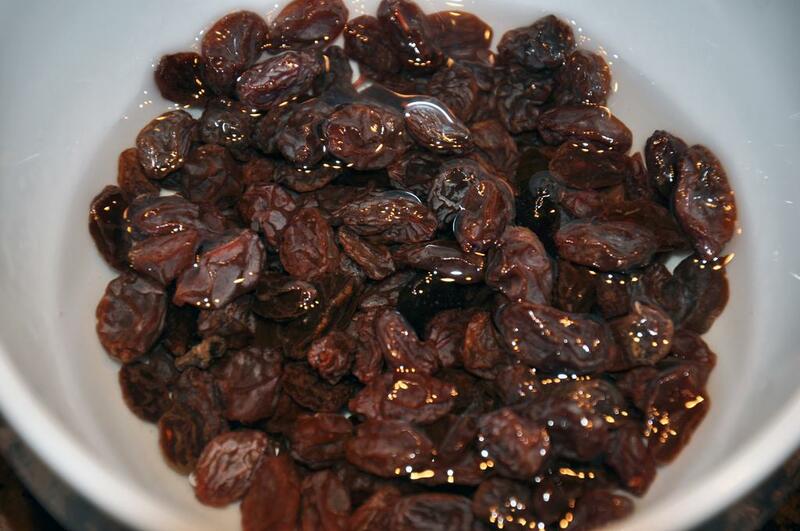 Combine rum and raisins in a bowl. 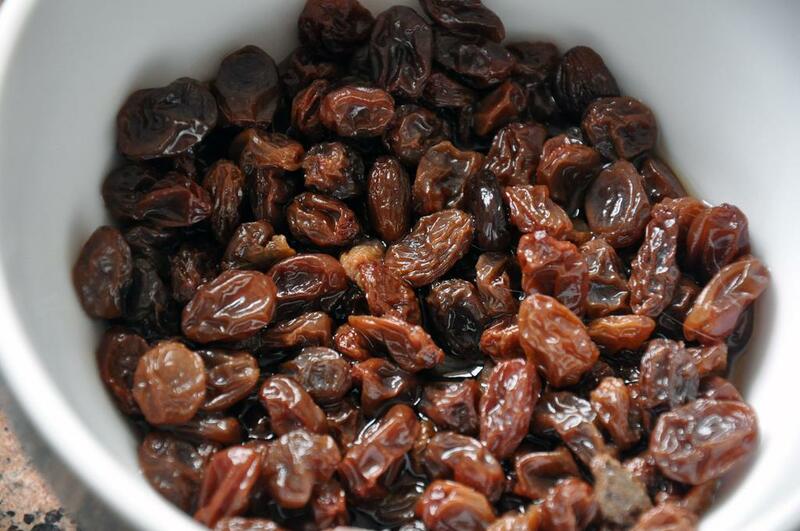 Let raisins get drunk overnight or at least 8 hours. Drain.Sober raisins covered with rum.Totally hammered raisins after an overnight of heavy drinking or rather soaking up. 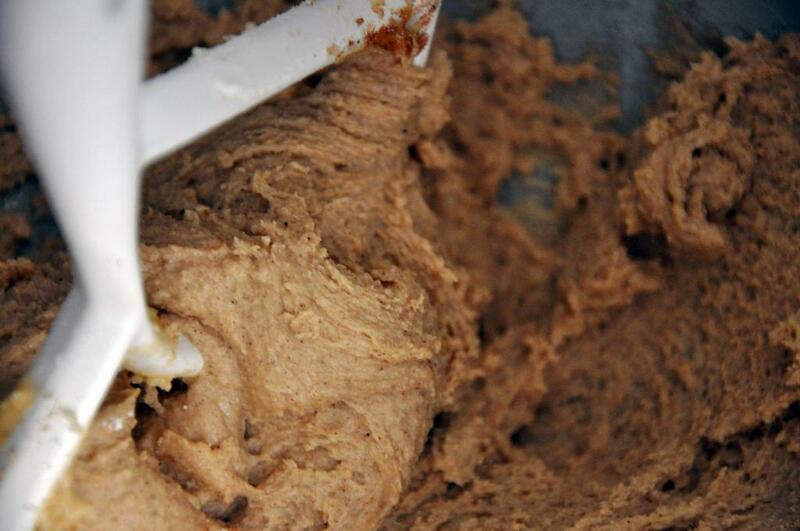 Beat butter and sugars together with an electric mixer about 1-2 minutes. 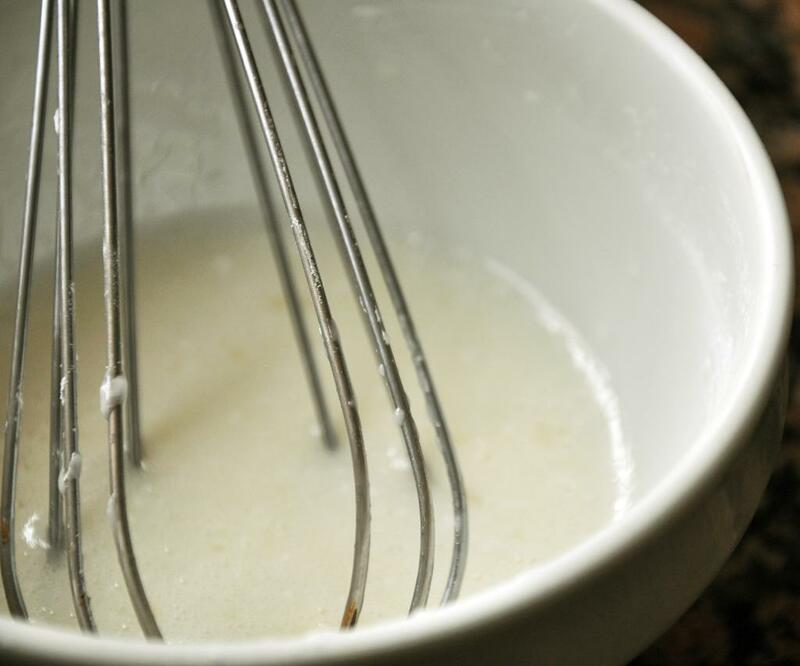 Add egg and vanilla and beat until smooth. 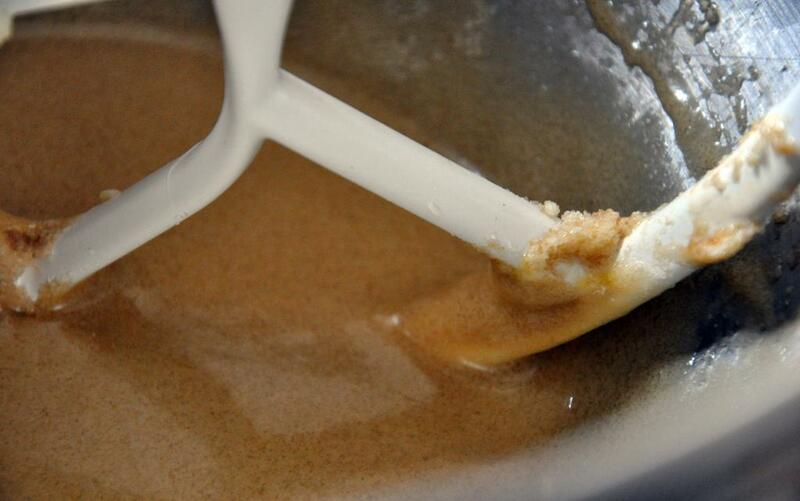 Add flour, baking powder, baking soda, salt, cinnamon and cloves and beat until well mixed, scraping down the sides to ensure everything is incorporated.Wet ingredients mixed together.Dry ingredients added. 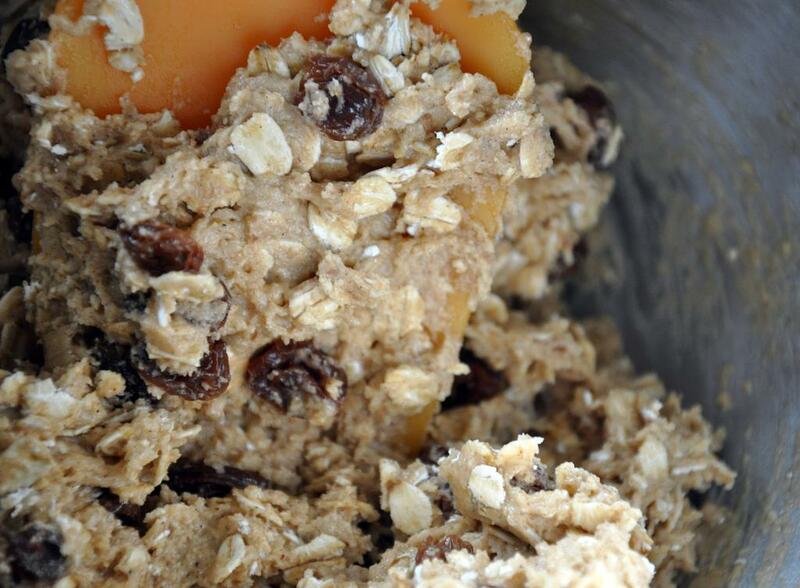 By hand, fold in oats and raisins until combined. Chill dough one hour.Oats and drunken raisins folded in by hand. Preheat oven to 350 degrees. Coat two cookie sheets with cooking spray. 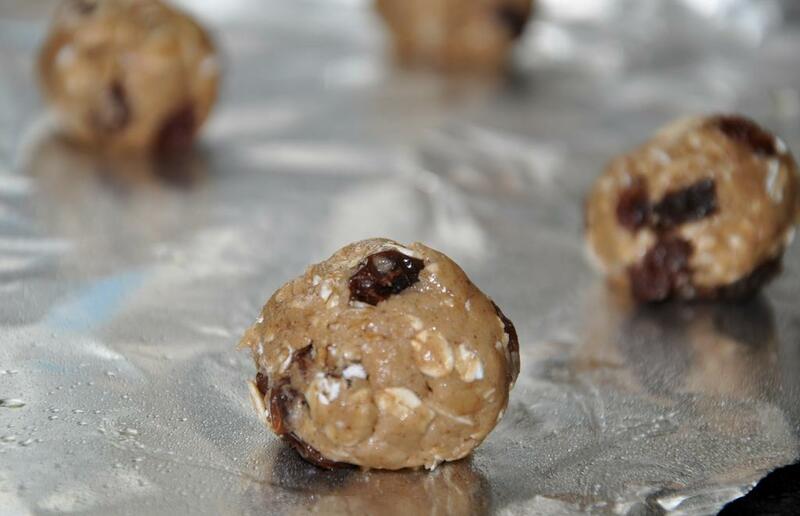 Roll dough into 24 golf ball-sized cookies and evenly space 12 on each sheet. Give each cookie a quick shot of cooking spray and, with the bottom of a glass, flatten each cookie until about 1/4" thick. Bake 10-12 minutes.Golf ball-sized yumminess almost ready for the oven.Baking in the oven - not too much longer yet! Meanwhile whisk together lemon juice and powdered sugar to form thick, but drizzle-able icing.A quick whisk and icing is done. Remove cookies to a wire cooling rack. Place a plate or paper towel underneath and drizzle or spread icing on hot cookies. 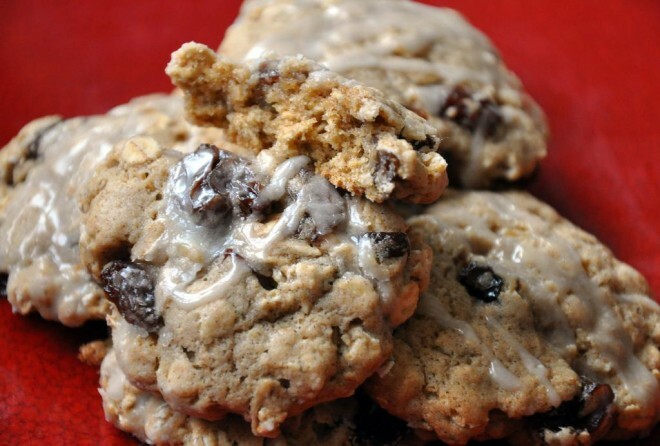 Allow cookies to cool and icing to harden - if you can!